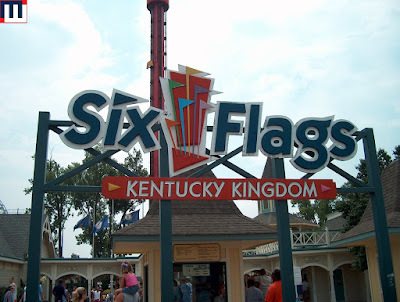 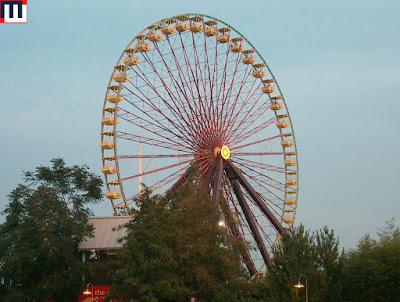 Welcome to Six Flags Kentucky Kingdom. The first coaster of the day would be Roadrunner Express. 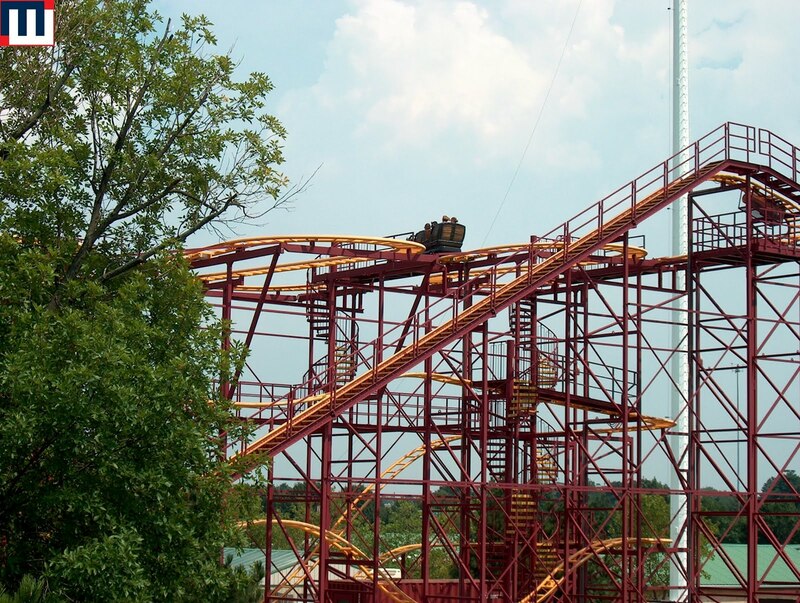 This is a classic mouse rollercoaster. 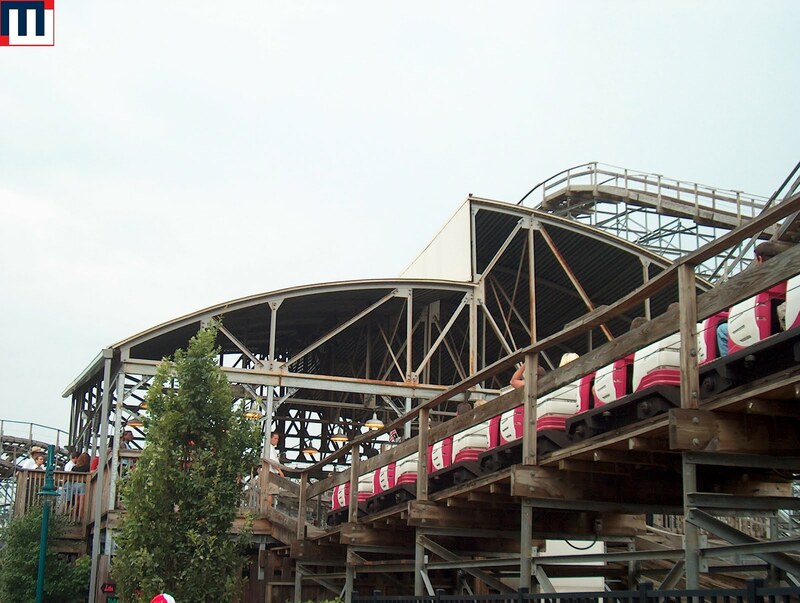 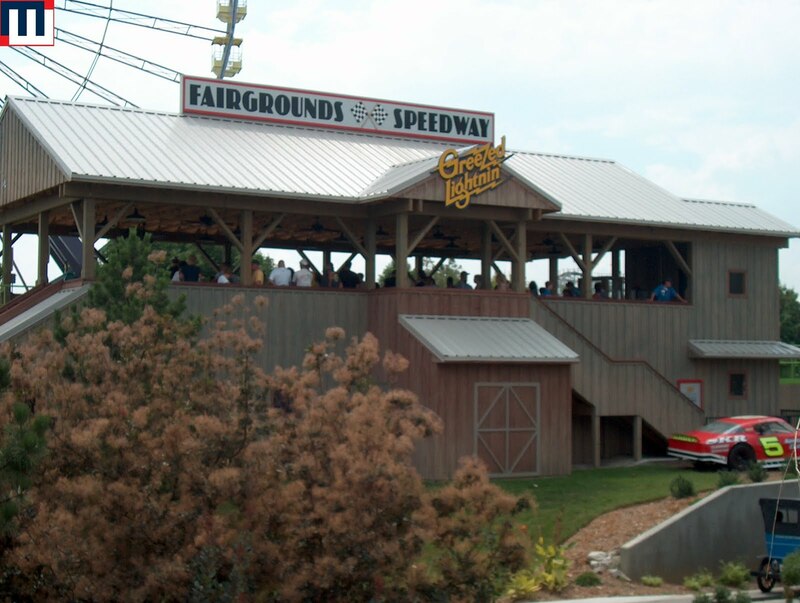 The coaster is made up of mostly hairpin turns. 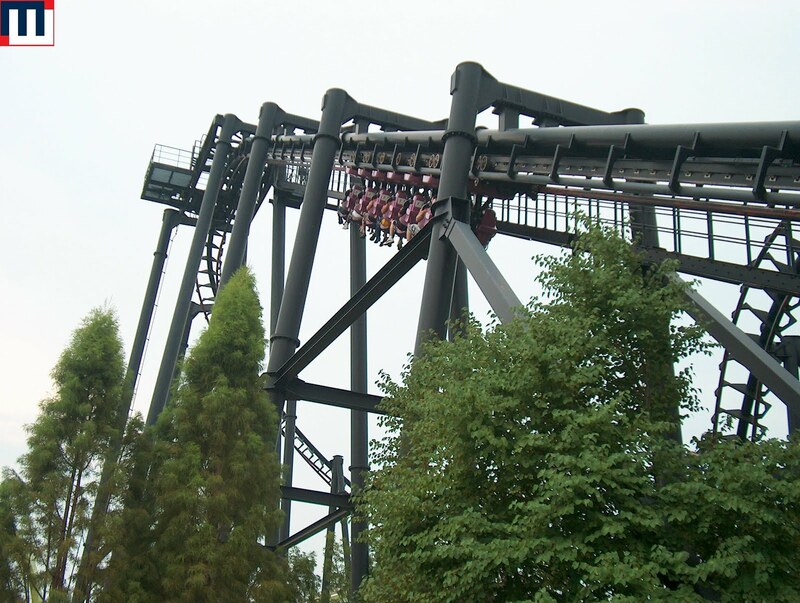 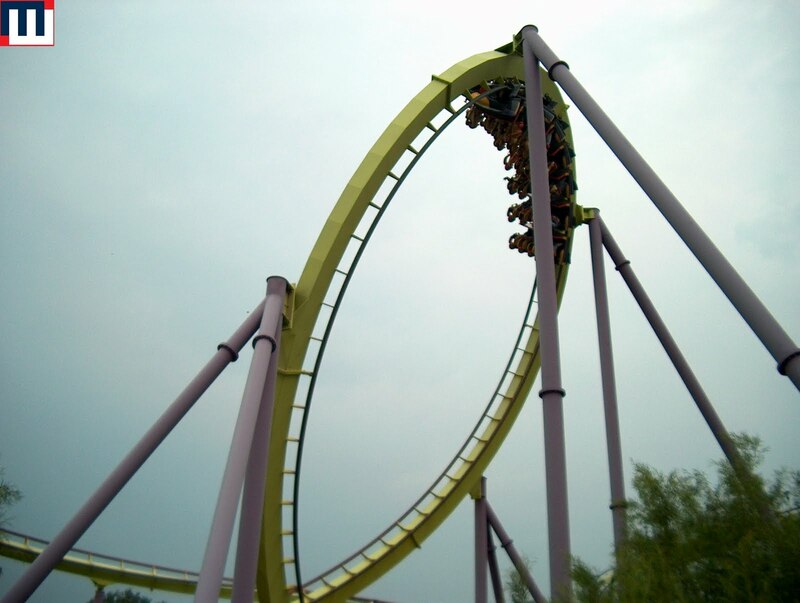 Next door is a classic Schwarzkopf looper called Greezed Lightning. 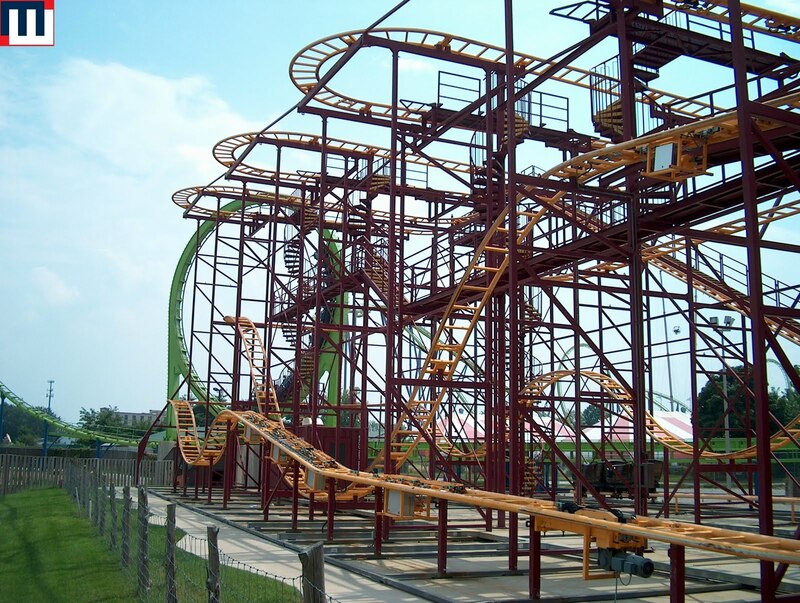 After being hydraulically launched out of the station, you go through a loop, up a spike and then backwards through the loop. Chang was my next destination. 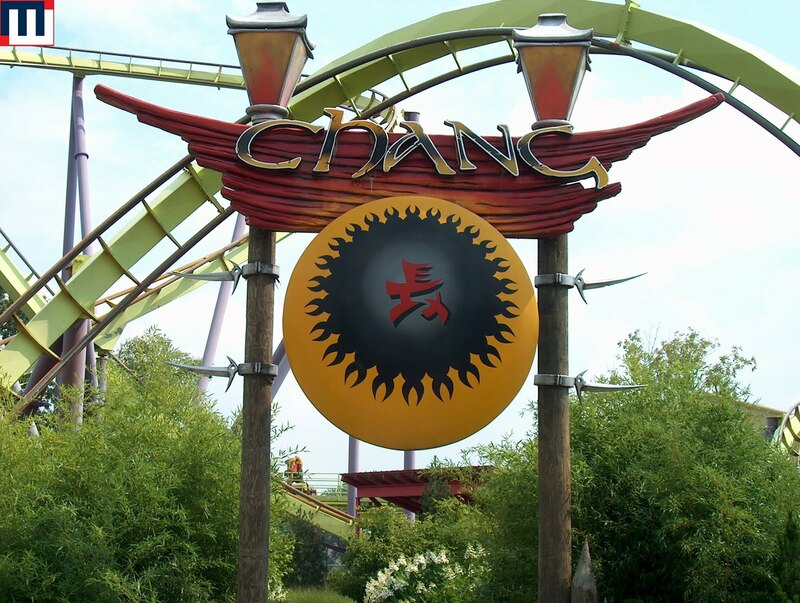 Chang is almost a clone of Mantis at Cedar Point. 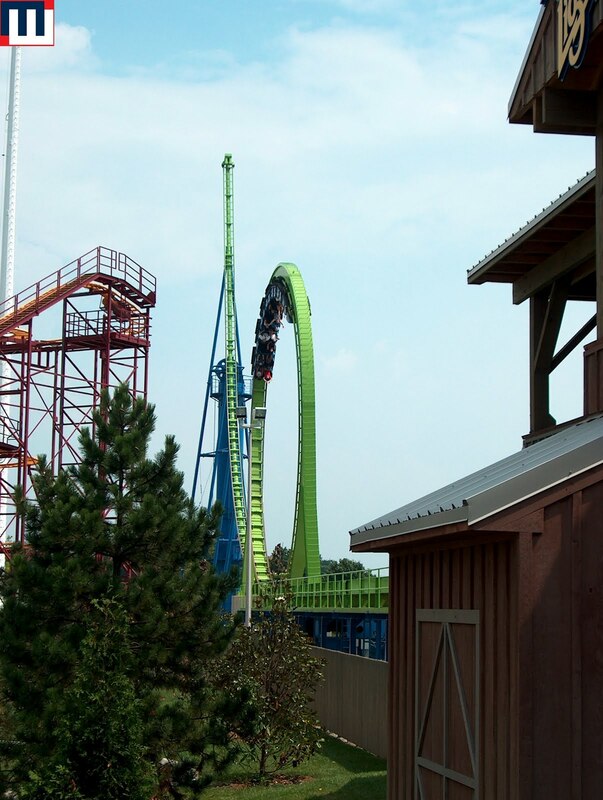 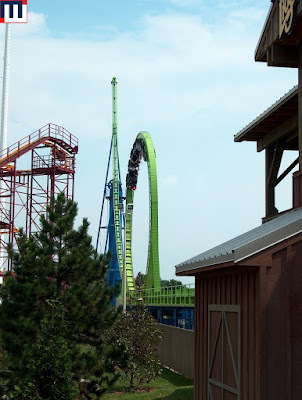 The main difference between the two is that this B&M stand-up coaster has an additional inversion. This coaster really stands out (pun intended) at this park. 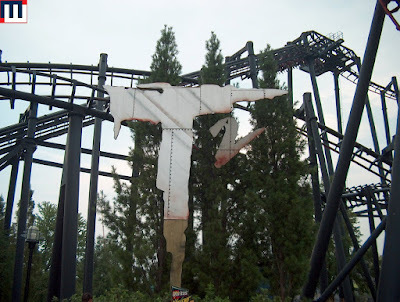 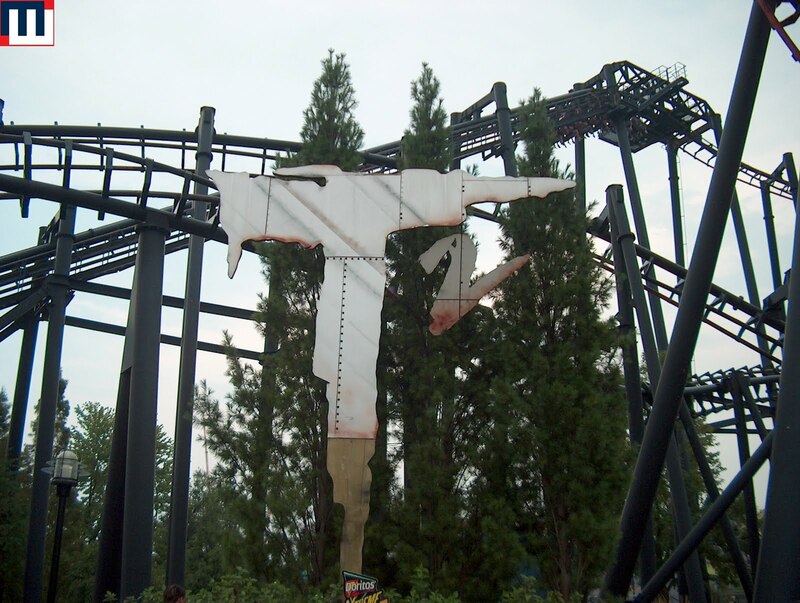 As good as Chang is, T2 is probably one of the worst coasters out there. 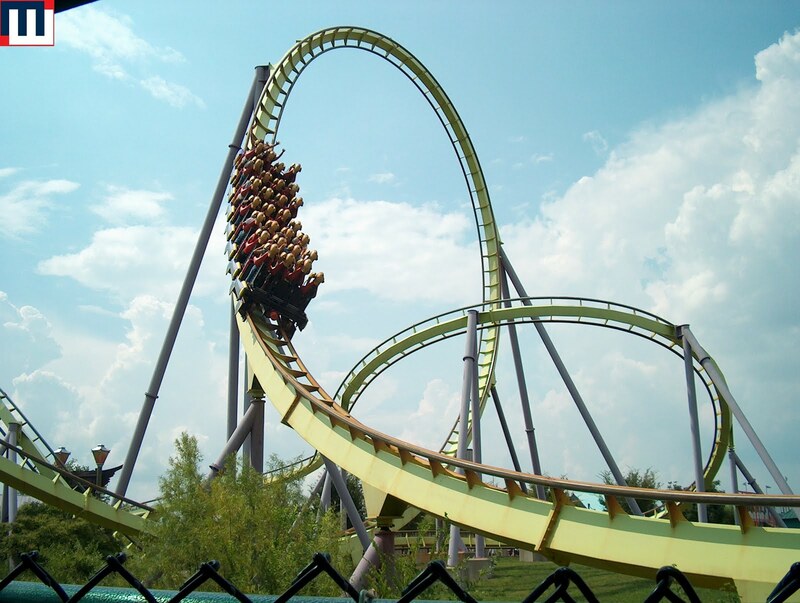 This is a Vekoma SLC coaster and it will induce migraines. 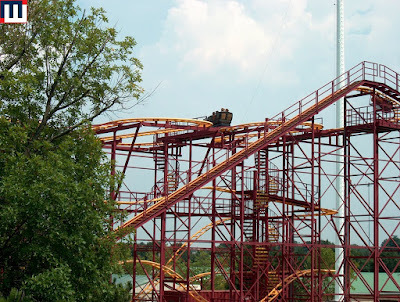 It has to rank as one of the roughest coasters I've ever had to endure. 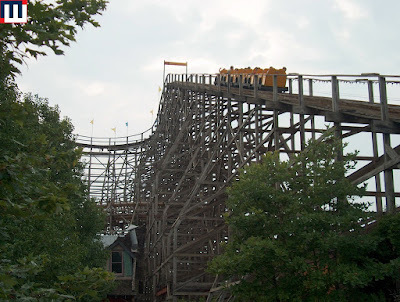 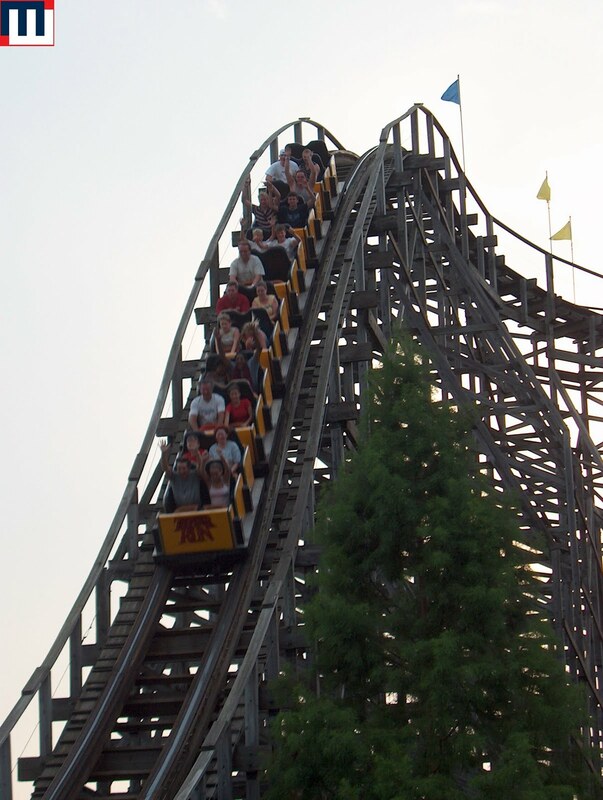 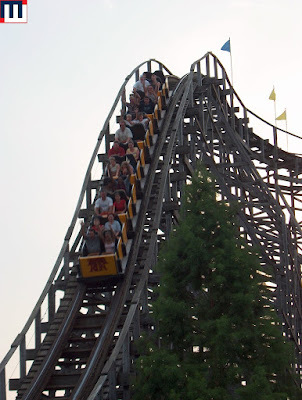 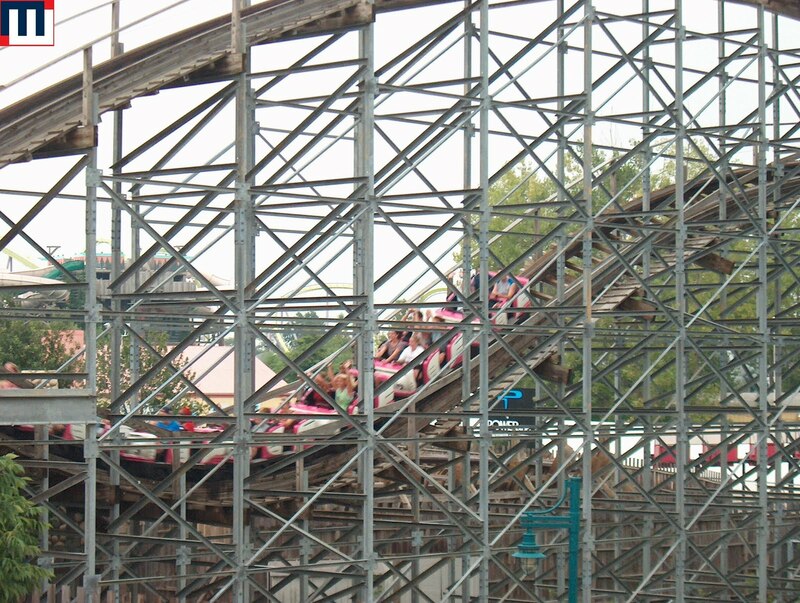 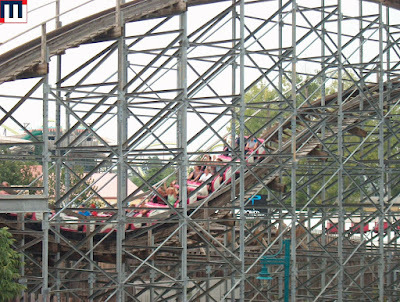 Twisted Sisters is two dueling wooden rollercoasters. 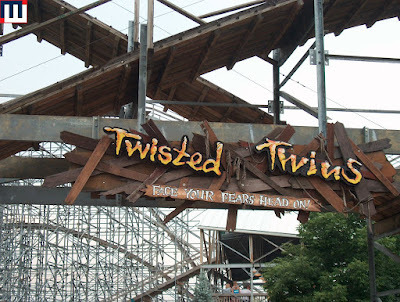 Continuing the theme of rough rollercoasters, both tracks are pretty brutal. 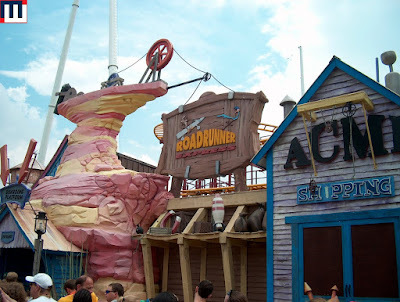 The dueling aspect of the ride is pretty diminished as the park isn't even trying to time their dispatches. Really a waste. 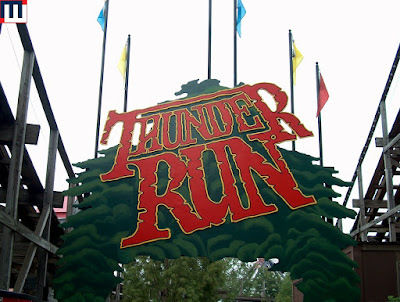 The final coaster at the park is Thunder Run. 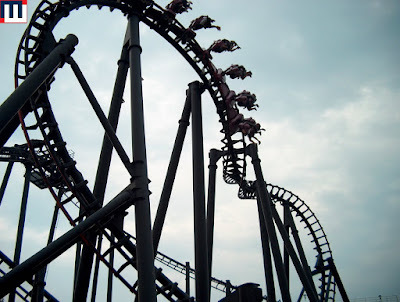 It's another coaster that you just endure.